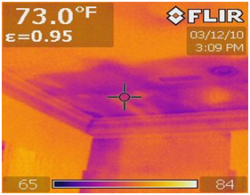 Thermal imaging is a great tool that helps to identifying water intrusion, or leaks in walls, floors, and ceilings. By detecting the difference in temperature between a wet area and the surrounding dry areas. 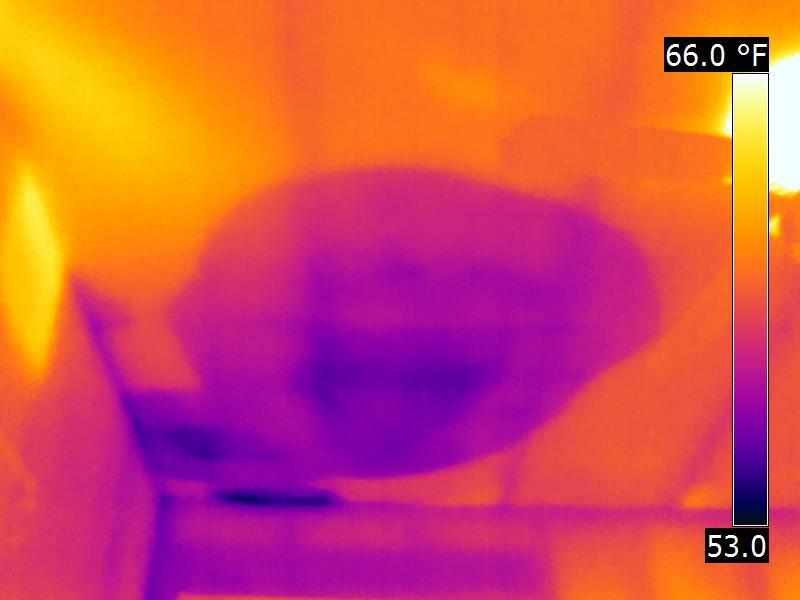 Thermal imaging can help detect moisture issues that would not be visible during a limited visual home inspection. 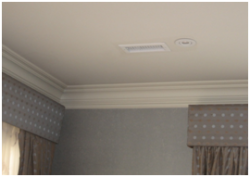 Whether its wet insulation, plumbing leaks, or water intrusion, with a Moisture ScanIR we can find a leak. However it has to be wet at time of inspection or it will not show on Infrared camera. Sometimes this is the better way of effectively finding the source of moisture intrusion. By setting up a Blower Door to depressurize space. Than statistimatily spraying water with spray rack from the outside while monitoring on the inside with Infrared we can better locate source of intrusion. So by simulating rainfall even when the sun is out we can discover the source of your leak by using spray racks. In the Hampton Roads area summer high humidity can lead to moisture problems. We have the experience to find the SOURCE of the air intrusion that is getting into the building envelope creating the condensation. Sweating ducts is a common problem in this area and HVAC contractors know the problem that's why they call us to find the source. It is an affordable way to detect and locate moisture problems. It saves you money because it can pinpoint problem areas enabling you to repair only the areas that need repairing. It provides immediate results and can survey largy areas in a very short time. It is comprehensive, non-contact, non-destructive investigative tool that eliminates the need to tear down walls hunting for damage. Let Dynamic put this advanced find a leak technology to work for you, stop mold, mildew, & fungus before it becomes a health issue. For special circumstances we can bring in calibrated spray racks.